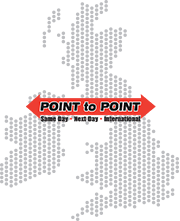 Point to Point have received and collected an enormous amount of donations for the victims of the Grenfell Tower fire. 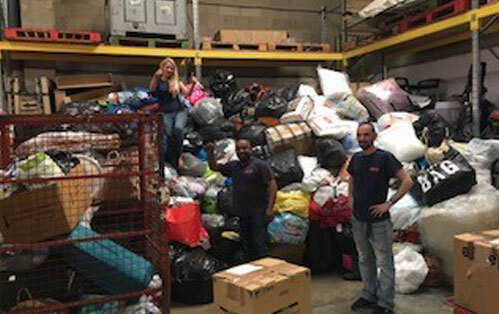 I would like to send a very big thank you to all of our customers, local businesses, general public and our colleagues within the APC around the country, all who have been extremely generous donating items of clothing, toiletries, food , drinks and the obscure but necessary items like Hippo bags and boxes. We have distributed a lot of these items to the local centres which are assisting with the relief effort. 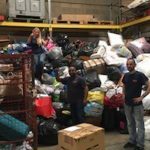 We still have a lot of items held in our warehouse which will be made available for the centres as and when they need it. We have a vast amount of used clothes which we are currently storing. We plan to hold these items and anything we still have for the next coming weeks. After talking with one of the local relief centres they suggested any leftover clothing should be recycled and all the proceeds to go to the Grenfell tower fund via The Kensington & Chelsea Foundation. Although the thank you list is endless I would like to say special thanks to Ellie, Charlotte, Nav and Roy from P2P for the supreme effort they have made in coordinating this appeal.